Have you ever taken a moment to look in your medicine cabinet and ponder the origins of the common items you find inside it? It's an odd question, we know, but there is a fascinating history behind so many items we take for granted. The team at our Wilmington restorative dentistry center would like to consider the history of toothpaste. It's thousands of years old, and far more interesting than you think. The first toothpastes were dental creams that were used in Ancient Egypt and Babylon. These early forms of toothpaste date back some time between 5000 BC and 3000 BC. The dental cream would be applied using a rag or cloth, which would then be used to polish the teeth clean. These creams probably didn't taste all that great. The most common ingredients included ox hooves, pumice, myrrh, and crushed egg shells. Other ancient cultures also used variants of this Egyptian dental cream. Both Rome and Ancient Greece used similar concoctions, and these contained ground up charcoal, oyster shell, tree bark, and bone. The Chinese would improve on the ancient dental cream with their own mixtures some time around 500 BC. While the creams may not have been extremely pleasant compared to toothpaste today, they did contain mint and ginseng to help freshen people's mouths. The dental cream would be applied with chew sticks, which were early ancestors to the toothbrush. By the 19th century, people were polishing their teeth with powders and toothbrushes. The powders worked on a similar principle as using baking soda to clean your teeth. Of course, baking soda is far better than what they had in the past. Early tooth powders often used extremely abrasive ingredients, such as crushed brick, salt, chalk, and charcoal. They often did more harm than good. Toothpaste as we know it was born in the 19th century. During the 1800s, soap was added to the popular tooth powders of the day to help with cleaning the teeth. In the 1850s, chalk was added to the early toothpastes. By 1873, Colgate began mass production of this essential dental care innovation. 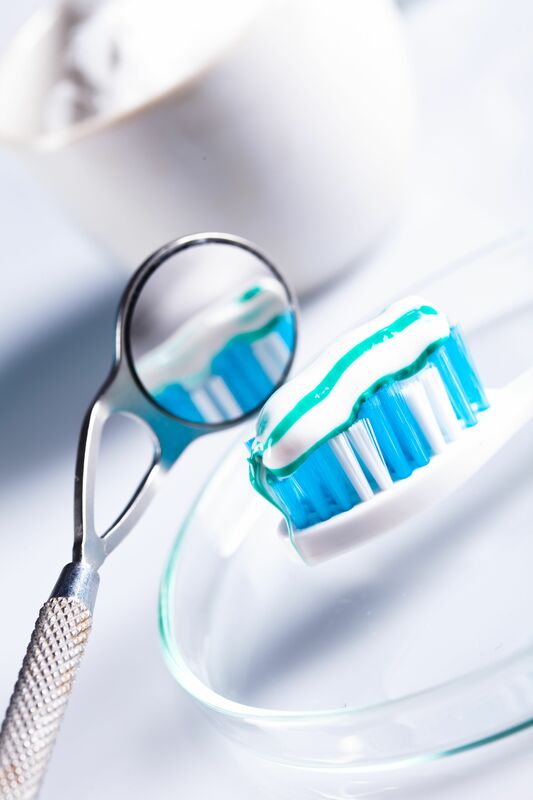 The first toothpastes were sold in jars and boxes rather than the collapsible tube. The tube would not be invented until the 1880s by Dr. Washington Sheffield, who sold his own brand of toothpaste in this convenient conveyance. Fluoride would not be added to toothpastes until the 20th century. Water fluoridation began in the 1940s in select American cities. To strengthen teeth, fluoride was added to toothpaste during the 1950s. More recent innovations in toothpaste have involved improvements in taste, ingredients, and effectiveness. The most notable innovations of recent years tends to involve the use of whitening agents in toothpaste. The same can be said of toothpastes that are gentle on people who have sensitive teeth. For more information about oral hygiene and the evolution of dental care, be sure to contact our cosmetic and restorative dentistry center today. The team at Smile Solutions by Emmi Dental Associates is here to help you smile with renewed confidence.